The Public Information Office reports the preliminary details of an incident that occurred on Friday, November 4, 2016 at 12:39 am in Bethpage. Suspect is in custody and was transported to a local hospital. Investigation is ongoing. Update - November 9, 2016 - The Homicide Squad reports defendant Robert Crumb, 44, was arraigned bedside on Wednesday, November 9, 2016 and charged with Murder 2nd degree. The original press release and an earlier update is below. Update - November 5, 2016 - The Homicide Squad has identified the victim as Maria Crumb, 41 of Bethpage. Her husband Robert Crumb, 44 also of Bethpage is in police custody in an area hospital. Charges are pending. Bethpage, NY - November 4, 2016 - The Public Information Office reports the preliminary details of an incident that occurred on Friday, November 4, 2016 at 12:39 am in Bethpage. According to police, Second Precinct officers received a 911 call for an assault with a weapon at a Seitz Drive residence. Responding officers upon arrival discovered a deceased female at that location. The male suspect fled scene and officers observed the vehicle traveling westbound on Southern State Parkway and followed onto Belt Parkway where the vehicle exited onto Pennsylvania Avenue and crashed into a gas station at Flatlands Avenue. Suspect is in custody and was transported to a local hospital. 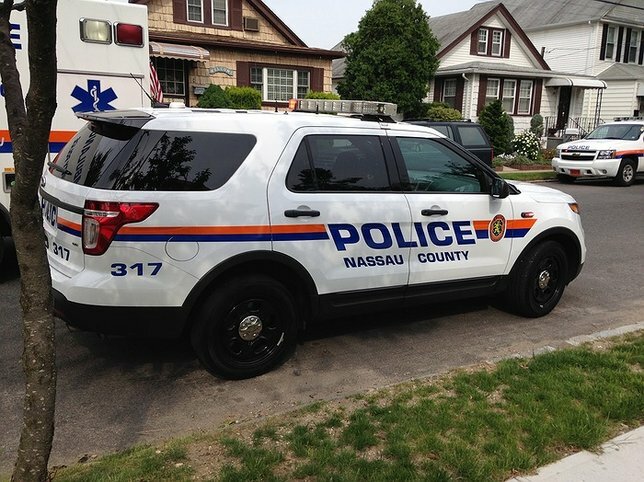 Subject: LongIsland.com - Your Name sent you Article details of "UPDATE: Police Responding to Assault Call at Bethpage Residence Finds Woman Dead, Investigation Ongoing"